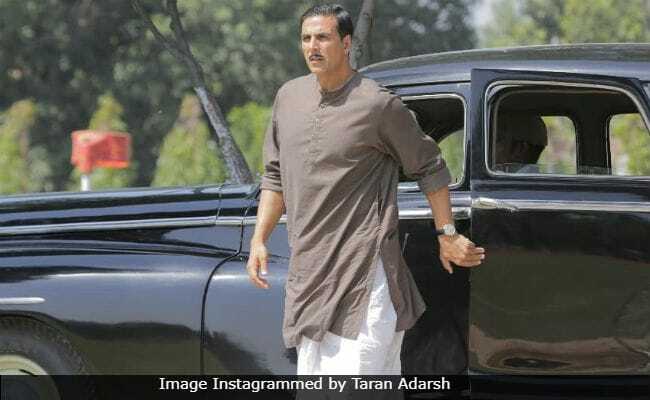 Akshay Kumar's Gold had a great start at the box office but its performance was not very impressive on Thursday as it managed to collect merely Rs 8 crore. Despite its low business on the second day, the film has managed to collect over Rs 33 crore as of now, reports Box Office India. Gold collected over Rs 25.25 crore on its opening day and it has left behind John Abraham's Satyameva Jayate, which has collected over Rs 26 crore as of now. According to the report, Gold, which has been performing well at multiplexes, witnessed a lower drop rate than Satyameva Jayate on Thursday. "The film had a 7% bigger drop than Satyameva Jayate as it had a far larger ratio of business coming from multiplexes which dropped more compared to single screens," Box Office India report stated. #Gold has an EXTRAORDINARY Day 1... Takes a FAB START at plexes across major centres... Wed 25.25 cr. India biz. Gold and Satyameva Jayate opened in theaters on Independence Day and both the films managed to book a spot on the list of top five biggest openers this year. Rajkumar Hirani's Sanju tops the list, followed by Race 3, Gold, Baaghi 2 and Satyameva Jayate respectively. Gold opened to mixed reviews. Film critic Saibal Chatterjee, in his review for NDTV, praised Akshay Kumar and Amit Sadh for their performances in the film and wrote: "Akshay Kumar inevitably hogs the footage, but it is Sunny Kaushal, Amit Sadh and Vineet Kumar Singh who do all the fancy dribbling on the acting front. Unfortunately, they just aren't allowed enough of the action." Gold marks the Bollywood debut of TV actress Mouni Roy and it also features Amit Sadh, Vineet Kumar Singh and Kunal Kapoor in pivotal roles. Directed by Reema Kagti, Gold is set against the backdrop of 1948 and it traces the journey of Tapan Das (played by Akshay Kumar), a hockey coach who wishes to win an Olympic gold medal for Independent India.